Where does the term 'station wagon' come from? What are the 'clam shell' station wagons? Which wagons available new have a third (rear) seat available? I want to buy an older, or classic, station wagon (or find parts for the one I have). Where should I look? Where can I get replacement (vinyl) wood siding for my wagon? Are there any clubs or magazines that are focused just on station wagons? I'd like to talk to someone who has a wagon like mine. Where can I find those people? Where can I get rubber weatherstripping pieces for my wagon? How can I clean all the rusty, dull chrome on my wagon? My favorite wagon was featured in an car magazine review. Where can I get a copy of a back issue? Which differential is strong enough to use in my big, heavy Mopar wagon? What was the biggest station wagon ever made? Where can I find replacement glass for my classic station wagon? 1. Where does the term 'station wagon' come from? For an answer to this question (the most frequently asked), go to our history section. 2. What are the 'clam shell' station wagons? The 'clamshell' tailgate has a rear window that retracts up into the roof, and a lower section that retracts into the body. It is probably a high point in tailgate design (and complexity). It was introduced on, and unique to, the 1971-1976 GM full-size models (it was standard all the way through the 1976 model year). Interestingly enough, in 1971 GM had three different tailgates - the liftback in the Vega, the conventional swinging version in the Chevelle, and the clam shell in the full size. Talk about variety! Go to the Zymme's Oldmobile site to see how the clamshell tailgate works on a 1973 Oldsmobile Custom Cruiser. 3. Which wagons available new have a third (rear) seat available? Third (rear) seats in station wagons are becoming more unusual. A very common option on wagons thorough the 1970's, it is fairly rare now. For the 1999 model year, only the Volvo V70, Mercedes Benz E320, Audi A6, Ford Taurus/Mercury Sable, and the new Saab 9-5 wagons have a third seat available. 4. I want to buy an older, or classic, station wagon (or find parts for the one I have). Where should I look? - Make sure everyone you know is aware you are looking for one....you'll be amazed at what people can turn up. - Get a copy of Hemmings Motor News, of course. It's probably not an exaggeration to say that every part ever made will eventually come to Hemmings. - Subscribe to Cars & Parts magazine. Great magazine; great classifieds, great parts ads. - Old Cars Weekly News & Marketplace - a great weekly newspaper filled with cars, ads, etc. - Special Interest Autos - another great publication from Hemmings. Of course there are many model/marque specific magazines available; search your local book/magazine store for examples. Subscribe to a few of these and you'll find just about any car or part. - Hemming's publishes a Vintage Auto Almanac which lists many sources for parts, clubs, etc. - Vintage Parts 411 publishes Parts Locating Guides for many different models, which have parts, literature, insurance, and lots of other sources. Having a Hollander Interchange Manual is *very* useful for finding parts that fit from other cars; it's expensive but worth it (especially if you're trying to find a rare part for a wagon that might be common to other wagons or cars). And don't forget to get a full set of manuals, dealer brochures, parts books, etc. for the car you want or are restoring. Go to this link to find sources for this material. 5. Where can I get replacement (vinyl) wood siding for my wagon? - First, try checking the parts counter at the dealership for your brand of car....you never know, they might still have the OEM stuff in stock. - Try saving what you have....clean it w/a scouring pad (like those used for non-stick cookware) & soap, then paint with spar varnish. - Get the decals from a newer wagon, like the '91-96 Buick Roadmaster. You'll have to cut it to fit, but any dealer should have it. They aren't cheap (there are six of them), and they may not match your original vinyl, but they should fit most needs. - There is vinyl paper which is sold in home & building supply places for sticking to pressed wood to make it look like real wood....you can buy long sheets of it which can work. - You can strip off the decal and paint the decal area brown. Looks good on some cars, not on others. 1.Berma Teak #579 (light in color). 2.Marine Teak #581 (darker in color). 3.Cherry Oak #578 (reddish in color). Another stationwagon.com visitor (Jack Koppen) turned up a source in Salem Oregon. It is Bunny Bakers, PO Box 3950, Salem OR 97302. He talked with a woman named Karen, who was extremely helpful in all things relating to fake woodtrim on wagons. They have many, many types & colors of fake wood, in 54" rolls, from regular grain, cross cut, 1/4 cut, burls etc. They can even do the black lines in Ford trim. They will also send samples. 6. Are there any clubs or magazines that are focused just on station wagons? As far as we know, the only station wagon organizations are the American Station Wagon Owners Association (or ASWOA), which has a regular newsletter and a once-a-year convention, and Wagons of Steel, which has a website and a (somewhat) regular magazine. Of course, most clubs are happy to support their station wagon cousins, so find a club that supports your year/model and give them a call. 7. I'd like to talk to someone who has a wagon like mine. Where can I find those people? Well, you can join a station wagon club (see FAQ #6 above). Or you can go to the stationwagon.com Gallery and see if there is a picture of a car like yours, and e-mail the owner (most pictures have the e-mail address of the owner in the caption). 8. Where can I get rubber weatherstripping pieces for my wagon? Much of the weatherstripping on station wagons is the same as the sedan version; however, this is not always true (and tailgate weatherstripping has always been hard to find). Two well-known vendors to try are Steele Rubber Products and Metro, who carry all sorts of rubber and weatherstripping parts. You can also try two places that custom-make weatherstripping. First is Karr Rubber Mfg., which advertises that not only do they manufacture rubber & weatherstripping, but will also custom-make pieces. You can contact them at 310-322-1993 or 800-955-5277, or 133 Lomita St., El Segundo, CA 90245. Second, try Wefco Rubber Manufacturing at 818-886-8872. Your last option would be to try to adapt pieces from another car. Although difficult, this is not impossible. First, try a model from the same manufacturer, then try a different year. Length is not your important consideration; how it mounts is the key. 9. How can I clean all the rusty, dull chrome on my wagon? The December, 1998 issue of Classic Auto Restorer magazine had an article on chrome polishes. They tested 32 metal and chrome cleaning products. Their top recommendation? Blue Magic (cream and liquid). They also recommended Autosol, Eagle-1 Mag/Chrome/Aluminum Polish, Eagle-1 Nevr-Dull, Flitz Metal Polish, Luster Lace, Luster Pad, and Simichrome Polish. 10. My favorite wagon was featured in a car magazine review. Where can I get a copy of a back issue? 11. Which differential is strong enough to use in my big, heavy Mopar wagon? This question is most popular with those who are doing big-block conversions on Mopar wagons, either for "more power!" or for drag wagons. Mopar 8-3/4 units are sturdy stuff, but there are some differences. Mopar 8-3/4 diffs from 1965-1974 were identified by three case numbers...the 489 (part#2881489) with a large '9' on the side, the 742 (part#2070742) with a '2', and the 741 (part#2070741) with an 'X'. Any of these cases will bolt into any other, all can accept the same Sure-Grip unit, and all have the same axle splines. The 741 case has a 1-3/8 inch diameter pinion shaft that was reinforced with a slide-on collar (which makes it 1-3/4 inches in diameter). The 742 case eliminates the collar found on the 741 and has a stronger, forged 1-3/4 pinion shaft. The 489 has an even beefier shaft, measuring 1-7/8 inches. So which one is stronger? Well, as you see from the specs, the 489 is the strongest, followed by the 742, then the 741. Although many people say the741 is not strong enough for a big block application, others say "not true" and point out that 741's were used in many Dodge trucks and some performance applications. 741's are cheaper and easier to find than the the 742 or 489 units. It's your choice - a fairly mild motor (large or small block) with street tires would probably be fine pushing a 741, but if you can afford and find one of the other cases then that lowers your risk of rear-end failure. Of course you could always swap in a Dana 60 rear end! An interesting note here....according to the '67 and '68 Plymouth service manuals, a Dana 60 was supposed to be standard equipment in a 440-powered C-body wagon. But that is not true in my experience, since I have a number of build sheets from wagons equipped with the 440 that came from the factory with the 8-3/4. If anyone knows any different please e-mail me and let me know. For a ton more information about the 8-3/4 rear, go to the FAQ on the Mopar Den. 12. What was the biggest station wagon ever made? "In the days of custom coach work wheelbase length was the accepted way of judging the size of a car. Now that automobiles are built with considerable front and rear end overhang this is no longer a sufficient category. The 1951 Chrysler New Yorker Town and Country, at 131.5", had the largest wheelbase ever used on a station wagon. Close runners up include the 1947-1948 Buick Roadmaster Estate (129"), the 1939-1941 Packard 120 (127"), and the 1971-1976 Buick Estate, Oldsmobile Custom Cruiser, and Pontiac Safari (also 127"). Weight is also a good indicator of station wagon size, but now that we live in the days of weight saving materials this too must be considered in light of other evidence. The following figures are for the three seat wagons. The heaviest wagons of all would seem to be the 1971-1976 Buick Estate, Oldsmobile Custom Cruiser, and Pontiac Safari, with the 1974 Buick and Oldsmobile taking the honors at 5182 lbs. shipping weight each. Other contenders include the 1974-1977 Chrysler Town and Country and Dodge Polara/Monaco ( the 1975 Chrysler Town and Country weighing 5050 lbs. ), the big GM wagon's slightly smaller sister, the 1971-1976 full-size Chevrolet (125" wheelbase), with the 1975 Kingswood weighing 5036 lbs., and finally, the 1969-1978 Ford and Mercury full-size wagons (the 1975 Mercury Colony Park weighing 4878 lbs.). Overall body length has become more of a factor in judging car size only since the 1950's when "longer, lower, wider" became the mantra of the day. The longest station wagons of all time would seem to be the 1971-1976 Buick Estate, Oldsmobile Custom Cruiser, and Pontiac Safari, with the 1975-1976 Buick nosing out her shorter triplets at 231.8". Other noteworthy vehicles include the 1967-1973 Chrysler Town and Country and Dodge Polara/Monaco ( the 1973 Town and Country measuring 229.6"), the 1974-1977 Chrysler Town and Country and Dodge Polara Monaco ( the 1976 Dodge Royal Monaco measuring 229.5") and the 1971-1976 full-size Chevrolet station wagons with the 1974-1976 models measuring 229". Interior volume has become the prime determinant of automobile size only since the E.P.A. began publishing its nifty consumer guides in 1982. But therein lies a problem. Most of the truly huge station wagons seem to have been built before 1982 ( in fact up until 1978). However, the E.P.A. 's figures are largely derived from the product of headroom, legroom, and interior width (shoulder room, I think!?!). This knowledge, combined with the figures derived from a 1976 consumer guide which I examined at the local public library shortly before they threw it away has enabled me to come up with the following interior volume estimates. The station wagons with the greatest interior volume (passenger volume plus cargo volume) would seem to be the 1971-1976 full-size GM wagons with approximately 184 cubic feet of volume. Other leading wagons are the 1974-1977 Chrysler Town and Country and Dodge Polara/Monaco (177 cubic feet), the 1991-1996 full-size GM station wagons (170 cubic feet according to the E.P.A.) and the 1969-1978 full-size Ford and Mercury station wagons (169 cubic feet). The preponderance of information suggests that the largest station wagons of all time were the 1971-1976 Buick Estate, Oldsmobile Custom Cruiser , and Pontiac Safari, with the slight edge given to the 1974-1976 Buicks." If you think you have some documented evidence that shows the "biggest" wagon you can find in any category, e-mail us and let us know; we'll post it here for everyone to see. On a related note, what is the smallest station wagon? My best guess is the Austin Mini wagon (for sale in the USA starting in 1959-1960). Wheelbase was 80 inches; overall length was 130 inches. Height was 53 inches. In person, they are tiny....I saw the one that the Eastwood Company owns in a parking lot Maine. 13. Where can I find replacement glass for my classic station wagon? 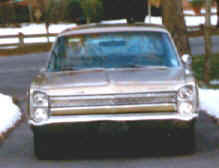 Try GlassSearch, 1975 Galaxie, Columbus, OH 43207, or call (800) 848-1351. Also try OEM Glass, P.O. Box 362, Bloomington, IL 61702, or call (800) 283-2122, (309) 662-2122; fax (309) 663-7474.